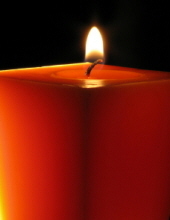 Elaine Geezil, 81, of Brockton, passed away Monday, February 4, 2019 at the Life Care Center of West Bridgewater. She was the wife of the late John Geezil. Born April 17, 1937 in Brockton, she was the daughter of the late Theodore Grosso and Aline (LaBelle) Grosso. Elaine was a calibrator technician for Krohn-Hite Corporation for over 25 years. She enjoyed playing bingo, craft making and going to the casino. She is survived by her children, Pamela E. Schwemin Reid, Paul E. Pocius, Jr., Mark A. Pocius, Suzanne T. Pocius Ford and David K. Johnston; her sister, Ernestine Minon; she is also survived by 13 grandchildren, 7 great-grandchildren and nieces and nephews. She was the sister of the late Theodore Grosso, Jr.
"Email Address" would like to share the life celebration of Elaine Geezil. Click on the "link" to go to share a favorite memory or leave a condolence message for the family.